Casco Systems moves to a new home! Work is complete on our new 20,300 sq ft. office on Route 100 in Cumberland, Maine. The new building provides a class A office space for our team of engineers, technicians, project managers and business associates. It features an expanded "Smart Grid" laboratory, fabrication area, team lounge, full kitchen and wellness room. 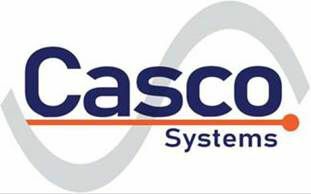 Casco Systems is the Control & Automation Solutions Company. We focus on the application of technology to protect, control, automate and integrate power systems for utility, power generation and industrial clients throughout North America. Our team of engineers, project managers and technology specialists provide best in class solutions & service.